Wildlife Extra describes itself as a site for "people who like wildlife, who like watching wildlife, who like conserving wildlife, who like photographing wildlife and who like hearing the latest wildlife news. We bring you the latest news, a guide to UK nature reserves and the wildlife hotspots of the UK..."
Wildlife Watching Supplies provide equipment and clothing for wildlife photographers, including hides, lens covers, camouflage clothing and so on. A good selection of bird and other wildlife photography by Roger Hatcliffe, predominantly from Lincolnshire. Pauline and Ian's wildlife images, a very nice selection of British wildlife. 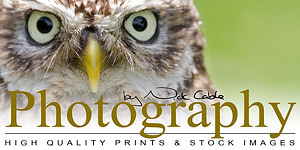 Photography by Nick Cable, a selection of wildlife and landscape images from the West Country. Disabled Forest of Dean Birders: Birdwatching information, gallery, and daily photo reports from the Forest of Dean in Gloucestershire, England maintained by and for disabled and housebound birdwatchers. FocusingOnWildlife.com, a wide variety of bird photography. Keith Talbot New Forest Wildlife, a very nice selection of images from the New Forest. A nice selection of bird images by Dave Bartlett. Steve 'Fourwings' Houghton, a good selection of wildlife images with a particular emphasis on dragonflies.